Fantastic Find Friday -- Sugar High Inc Bakedrops!! Another Friday... another Fantastic Find! 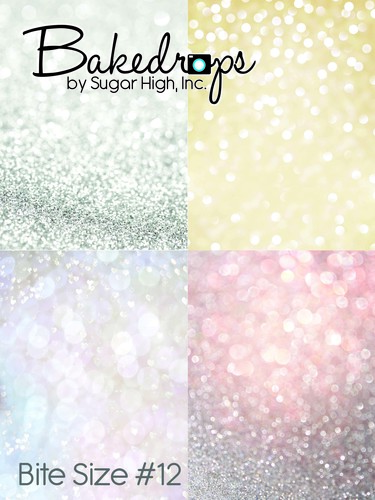 Up this week -- Sugar High Inc.'s BAKEDROPS!! Brenda of Sugar High Inc. has the most UNBELIEVABLY adorable cakes and toppers that I just want to *squish* every time I see another one. 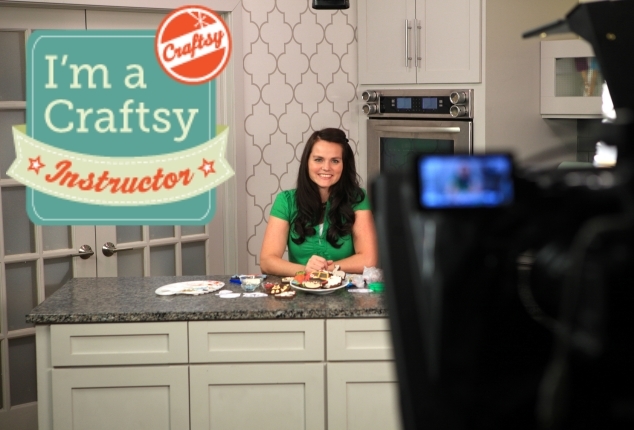 If you don't know, she also has a line of Bakedrops for all sorts of sugar crafts photos. My favorite are the ones she calls "Bite Size." I got one over the holidays and can't wait to tell you all about it! 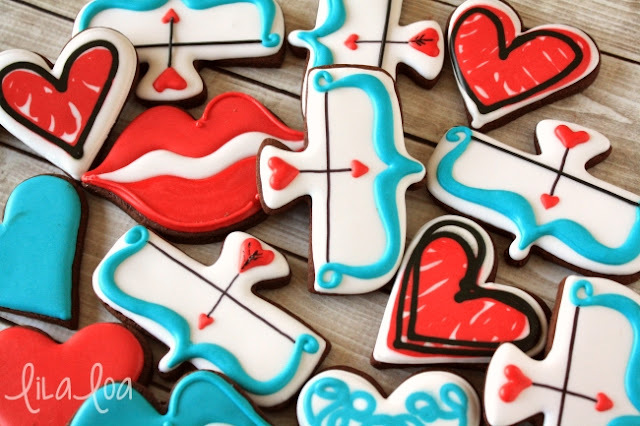 Every Bite-Size Bakedrop is divided into 4 different background patterns. Each one is 18 inches by 24 inches so the whole backdrop is about 3 feet by 4 feet. * 4 different backgrounds and only one piece of vinyl to store? Yes please! * I was a little concerned that the squares might be too small to photograph a large set of cookies. 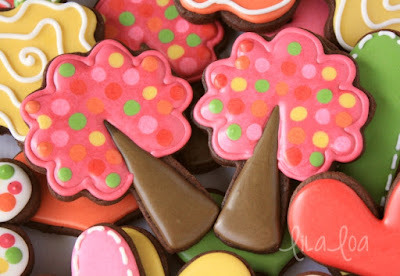 But I was able to fit a plate and an entire set of cookies on each corner with plenty of room to spare for cropping. Really.... 18X24 is the perfect size! Valentine's Day pretty much gets me through the entire month of January. January 1-8: I take down my Christmas Tree and all the lights and decorations and I fill the void in my frozen tundra of a life with deep reds and bright pinks and pretend that the colors themselves can give off warmth just by loving them. As it turns out... they cannot. January 9-12: I lie on the couch under the warmth of the electric blanket my grandmother gave me for Christmas, hoping I never have to leave the house again and internet researching endless Valentine's Day craft projects I can do all by myself...and maybe a few I can do with my children too. 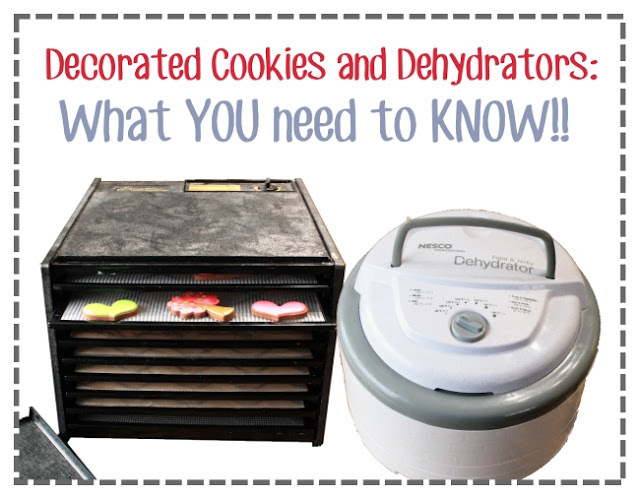 Decorated Cookies and a Dehydrator -- What YOU Need to Know!! 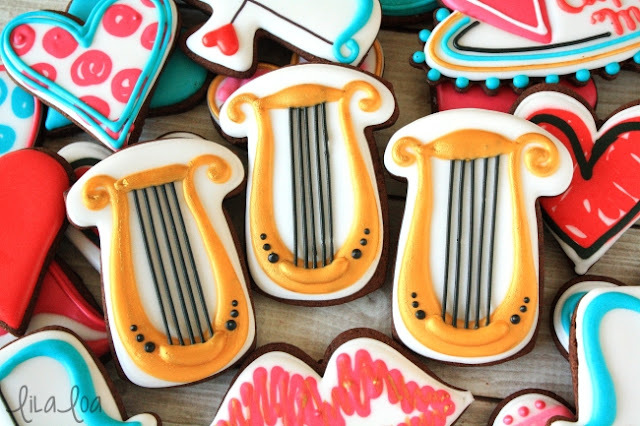 Using a dehydrator for decorated cookies is all the rage these days! But the hows and the whys and the where-to-fors can all get a little confusing. I'm here to help you out. What is a dehydrator? A dehydrator is an appliance that uses warm, moving air to remove moisture from the food that is placed inside it. Why IN THE WORLD would I put my cookies in a dehydrator? For two reasons: One, if you put a moving air source across the top of the icing while it is drying, the icing will dry SHINY. Second, the gently heated air helps the icing dry quicker -- reducing craters, color bleed, and allowing you to move on to the next step in decorating much MUCH faster. Will a dehydrator dry out my cookies? It can, if you leave the cookies in there for too long. 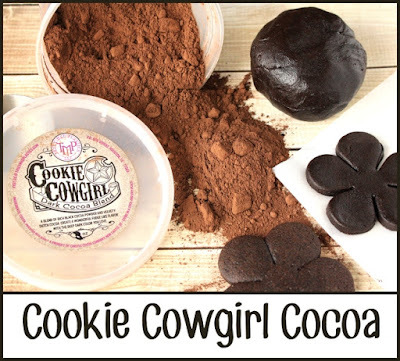 Ideally, you want to leave the cookies in the dehydrator just long enough to quick set the surface of the icing, but not so long that it affects the cookie. How long should I leave my cookies in the dehydrator? I learned something new this year. I mean... I always thought that Valentine's Day was a heart holiday. 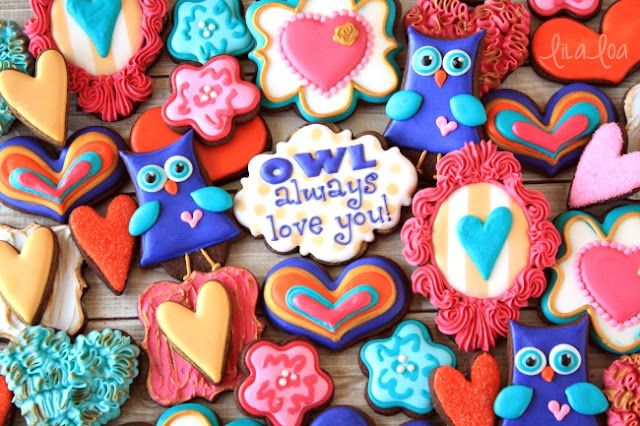 You know, cut out some hearts, throw on some icing...maybe sprinkle some love in sugar form and call it a day. APPARENTLY though....there is this thing called a Valentine's Day TREE. I don't really know the purpose of it. I mean, it doesn't seem to give candy to good children or sparkle or grant wishes or anything...they just have brightly colored hearts all over them and just...exist. I don't even know if they are real or imaginary creatures. I might have fallen asleep mid-internet-reasearch. I blame that on the electric blanket my grandma gave me for Christmas. It's just so COZY, you know? It's like cuddling without the extra breathing noises.